In addition to field space heaters, field water heaters and ground support heaters for the military, Polartherm designs and manufactures various other air heaters for construction and renovation business, industry, agriculture and commercial aviation industry. The construction and renovation industry is the largest of these sectors, especially now that construction business is finally showing some growth after several years of slowing down. In Finland, a new rental company was established early this year and by September this year they already had established 13 rental stores around Finland. The company is known as Renta, headquartered in Helsinki, Finland. 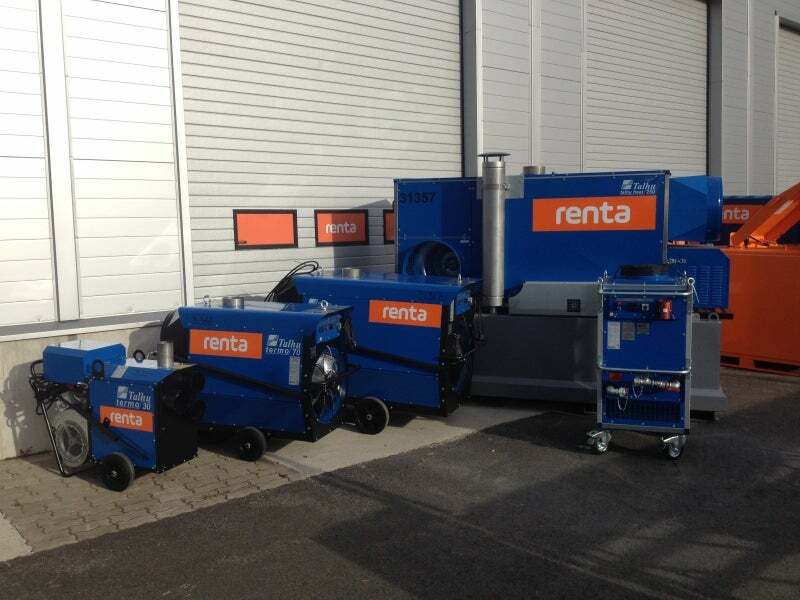 To be a full service construction equipment rental company, Renta also needed to add heaters to their equipment fleet, which meant they had to make a choice of the heaters they wanted to use. Many employees at Renta had been in the rental business for years and therefore knew Polartherm beforehand. The reputation of Polartherm is very well known within the construction business and the heaters are known for their robust design for professional use. Renta’s purchasing manager Mr Jukka-Pekka Heikkinen also had experience of Polartherm from his previous job and therefore it was quite natural that Renta chose Polartherm’s heaters to their equipment fleet: "I have a long standing experience of Polartherm’s heaters, which is why we made a decision in favour of Polartherm regarding heating equipment." Jukka-Pekka has also experience in joint R & D projects with Polartherm: "Polartherm’s ability to listen to customers, and rapid response to customer requirements by modifying the products according to individual customer requirements, as well as the possibility of developing products together with Polartherm for Rentas needs is a significant advantage, which we will certainly take advantage of in the future," said Jukka-Pekka.